WEATHERPROOF!! NOAA WEATHER CHANNELS AND ALERTS!! NOW LICENSE FREE!! The Talkabout T460 provides up to 35 miles of range in ideal conditions (typically up to 2 miles in urban conditions). 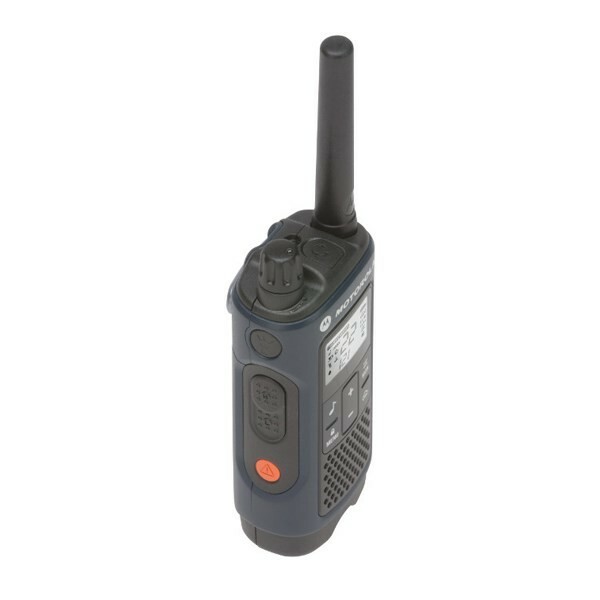 Features include Quiet Talk filter, VibraCall® vibrating alert, channel scan, 20 call tones, hands-free iVox functionality, and a built-in LED flashlight to find your way through the dark. The T460 also offers dual power options. You can either power it up with the included NiMH reachargeable battery pack or 3 standard non-rechargeable AA alkalines. The T460 is equipped with a micro-USB charging port so you can charge the radio directly as you need. 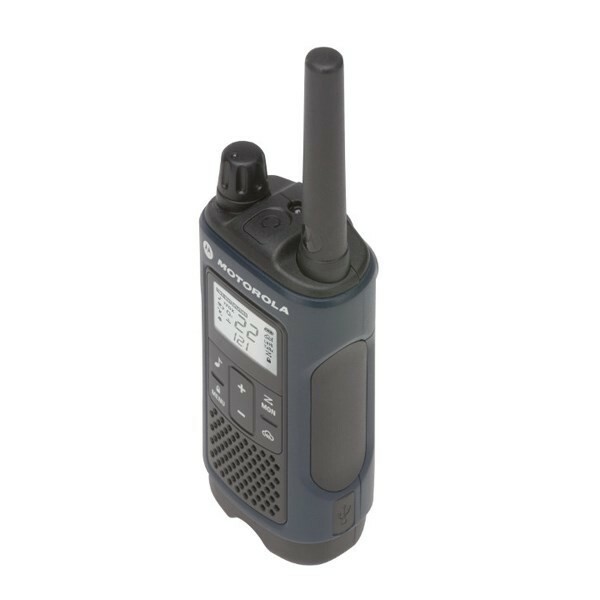 The Motorola Talkabout T460 comes with two Motorola T460 two way radios, two micro-USB AC wall chargers, two NiMH rechargeable batteries, two belt clips, owner's manual and a one year manufacturer warranty. Radios are clear when not using the ear pieces. If you are going to use them with an ear bud, go with a good quality one. Also, we wish a gang-charger was available. The USB plugs get bent easily plugging and un-plugging them. AND the single-unit base that IS available is NOT inexpensive at all.